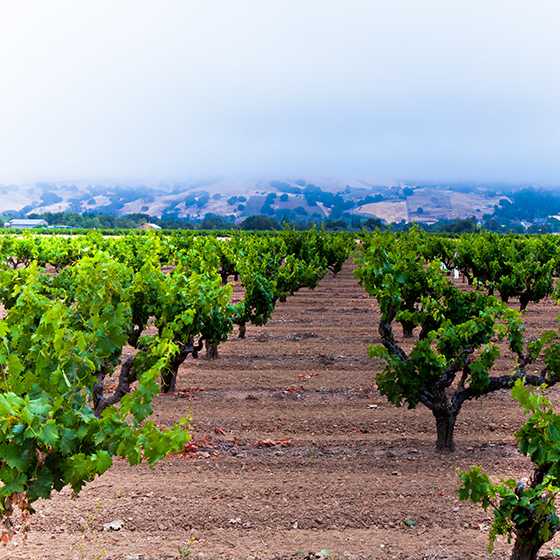 Guglielmo Winery is situated within the larger American Viticultural Area (AVA) of the Central Coast and San Francisco Bay with the specific designation of Santa Clara Valley. 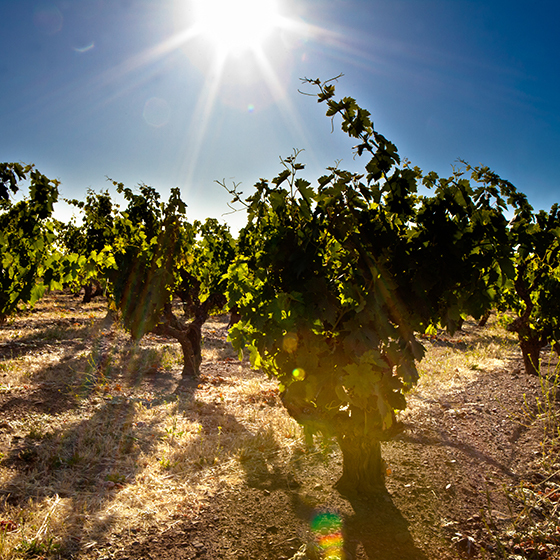 Our vineyards are comprised of approximately 50 acres planted in Zinfandel, Petite Sirah, Merlot, Carignane, Grignolino, Sagrantino, and Cabernet Sauvignon. Our growing region is unique in that it is a mixture of rural, urban, and suburban settings. The site is classified as Region II with regard to climate which is synonymous with some of the most famous appellations in the world. The soil type is classified as a Pleasanton Loam which is essentially a gravelly loam. This translates to a soil that is well drained and consequently well suited to grape cultivation. Climatic conditions are dominated by our coastal influence from both the Monterey Bay in the Southwest and the San Francisco Bay in the North. Usually, fog hangs over the vineyard in the early morning, receding Southward as the morning progresses. Damaging low temperature dips are well moderated by the coastal influence that greatly minimizes the threat of frost damage. In the vineyard, generally bud break occurs in mid-March with harvest beginning in early September. Vineyard practices are designed to be as sustainable as possible. Vineyard canopies are kept open to facilitate light exposure and disease resistance. Reduced irrigation techniques are employed to encourage vines to express themselves fully. Crop loads are also matched to accommodate these rigorous conditions.